A Disney World vacation can be the trip of a lifetime, but with four theme parks, two water parks, a shopping and dining district, as well as numerous resorts and other attractions, there is a lot to cover for a first-time guest. Disney World can be daunting if you’re making your first trip there, but it doesn’t have to be that way! Here are five mistakes I often see WDW rookies make. When planning your first Disney World vacation, be sure to avoid these pitfalls. Disney World has literally hundreds of attractions, shows, activities, and restaurants. If you go into that completely blind, the amount of options will be overwhelming. Yet it’s surprisingly common to encounter other guests who don’t know what there is to do at Disney World and feel lost because of this. Doing research ahead of time will help you figure out how you want to spend each day. If you’re traveling with a small child, your priorities are going to be different than a family with two teenagers. By reading up on what there is to do at each park ahead of time, you’ll have a much better sense of what you want to ride, where you want to eat, and what you’ll want to see. What to do instead: The fact that you’re reading this article on Guide2WDW is a good sign! We have tons of Disney World tips, as well as information on the attractions and restaurants. While there is a ton of information on this site, I also recommend checking out these other Disney World sites. Read reviews, trip reports, blog posts and more to get a variety of opinions. Don’t feel like you need to know everything about Disney World before you go. Just get a general feel of what there is to do, and make a list of what you would like to do most while you’re in Orlando. Also, you can find out more about the latest at Disney World by signing up for a Free Official Disney World DVD or Video from Disney. This free video is a fun way to learn more about the parks, as well as getting excited for your upcoming vacation. All you need to do is click the graphic below to sign up. I’m not a fan of overplanning a Disney vacation. Having a to the minute itinerary doesn’t exactly scream “I’m having a fun time” to me. But some planning is a necessity at Disney World. Especially with in-demand dining reservations and advanced Fastpass+ bookings, making a plan ahead of time is more important than ever. Having a plan will help you accomplish your “must-do” list and waste less time. I’ve found that I have a much better time when I have a general plan than when I don’t, but I do make sure to leave in some wiggle room to be spontaneous. What to do instead: Make an outline of what you want to do each day. You can get as detailed as you want, but at the very least pick which parks you want to go to each day. Your Fastpass+ and dining reservations should help to inform your plan. Fastpass has been around for years, but there are still plenty of guests that don’t know about it or realize that it’s included with admission. With MyMagic+, the system has changed, but it’s still a great way to reduce your wait times on popular attractions. Fewer guests are aware of the Single Rider lines, which split up your group to fill in the empty seats on rides like Test Track and Expedition Everest. 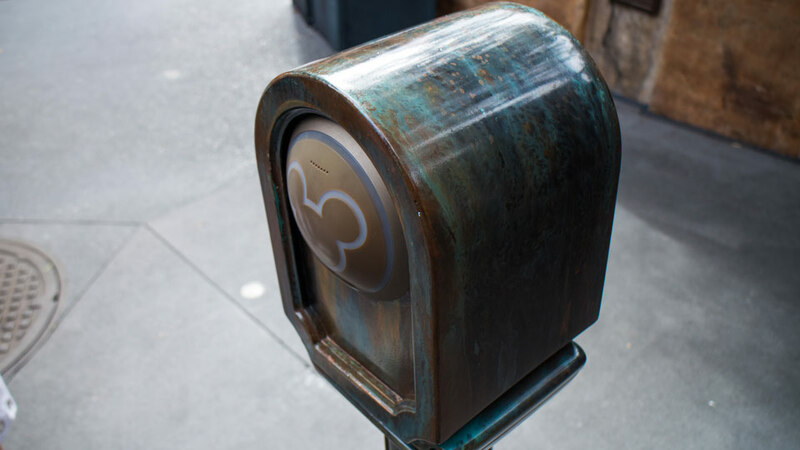 What to do instead: Be sure to make your Fastpass+ reservations ahead of time. If you’re staying at a Disney World resort, you can make reservations 60 days ahead of the first day of your trip. All other guests can make reservations 30 days ahead of time. Just register your ticket with MyDisneyExperience.com or the My Disney Experience app. You can change the time and the experience of your FP+ all the way until the day of the reservation, but just be aware that Fastpasses are limited. Be sure to check out our FastPass+ Guides to find out which FP+ reservations will save you the most amount of time: Magic Kingdom FastPass+ Guide, Epcot FastPass+ Guide, Hollywood Studios FastPass+ Guide, Animal Kingdom FastPass+ Guide. Also, here are 10 FastPass+ Tips You Need to Know. OK, some regular Disney World visitors are probably guilty of this one as well. Most families only visit Disney World once every four years, and there is some pressure to get the most out of the vacation by doing everything possible. My family definitely used to do that when we first started visiting Disney World. Get to the park at opening and stay until closing, going on as many rides as possible. By the third or fourth day of the vacation, we had a very exhausted, very cranky family running around in the name of fun. What to do instead: Be sure to take a break every now and then. It could be in the form of an afternoon nap in your hotel. Or it could be sitting down to a relaxing drink in the World Showcase. Or it could be a day where you don’t go into the parks and just lounge by the pool. Once my family started finding some time to relax while on vacation, we found that we enjoyed our time at Disney World even more. I’ve found that feeling stress on a Disney World vacation is the result of many factors. Part of it is the self-imposed pressure to have a “perfect vacation.” Part of it is exhaustion. Part of it could be something not going according to plan. What to do instead: First of all, follow the first four tips in this article. These will help you know what to do, save time, and avoid feeling exhausted. Secondly, if an issue comes up, be sure to visit guests services and explain your problem to a Cast Member. More often than not, they are eager to help. There have definitely been moments when Cast Members have come to the rescue to help resolve an issue for me. Most importantly, remember you’re on vacation! Don’t put too much pressure on yourself to have the perfect Disney World experience. Focus on having a good time with the people you’re with, and the vacation memories will follow. (Updated August 2016 with links to more resources for first time Disney World guests). ← “Highway In The Sky Dine Around” coming to the Magic Kingdom resort monorail loop. Hi James, Fantastic website & really we’ll presented. Have you ever Thought of turning the content into an App? Also, any news on the Maelstrom closing or not? Adam. No news on Maelstrom, which is good news if you’re a fan of the ride. I’ve read that some people have been able to start making Fastpass+ reservations for dates past September 28. Not sure if this means that Frozen is off the table, there’s a new timeframe, or something else. I’m going to wait to see what Disney announces officially. I’ll definitely update once there is news. Really glad that you enjoy the site! No plans for an app right now, but it definitely isn’t something I would rule out for the future.